‘Sad, Dismal, Dangerous:’ Who’s Going to Change These Senior Care Stereotypes? What does the general public think of the senior housing and care industry? One morning in mid-January, I took to the streets to find out. The scene: A large, neighborhood grocery store on the north side of Chicago. The quest: To determine what 10 average, unsuspecting consumers of all ages really think about contemporary senior housing and care offerings. About 30 minutes after establishing myself in the produce section, I had completed my (wholly unscientific) survey. Perhaps it was to be expected, but the phrase “nursing home” failed to conjure up a pretty picture among the individuals I questioned. Single-word associations ranged from “dismal” from Jeannine, age 63, to plain old “sad,” from Samantha, age 31. There was also the ever-popular quip of “bad food,” from Paula, age 44. In fact, the most glowing response to “nursing home” was a hearty “not pleasant” from Marge, age 78. Obviously, the senior care sector is experiencing a bit of a public perception crisis — at least when it comes to evoking a positive reaction among potential consumers. Some folks in the industry have attempted to changes this; in 2015, LeadingAge and Mather LifeWays spearheaded a campaign to change the name of continuing care retirement communities (CCRCs) to a less care-centric-sounding Life Plan Communities, for example. And, in recent years, several providers have opted to rebrand to eliminate any mention of religious affiliations or institutional qualities: Presbyterian Retirement Communities Northwest became Transforming Age in 2016, and Cornerstone Affiliates, the parent company of American Baptist Homes of the West (ABHOW) and others, became HumanGood. In 2016 alone, 16 of the nation’s largest not-for-profit senior living providers rebranded, according to the 14th annual LeadingAge Ziegler 150. In many cases, these changes were made to hammer home the idea that senior housing communities and skilled nursing facilities aren’t just places older adults go to receive “care” as they age or to simply “retire.” Communities wanted to also convey that they’re not, for the most part, limiting their resident pool to members of a certain faith group. These rebrands, then, have largely been touted by their instigators as a way to change consumers’ impressions of what senior living actually is. Still, it’s probably not going to be an industry insider who will ultimately succeed in changing consumers’ perceptions of senior living and skilled nursing, Wayne Langley, president of Varsity, a senior living marketing and sales consulting agency, told Senior Housing News. In fact, the most likely instigator of true change will be an activist from outside the senior care industry who, at first, will likely “rub [the industry] the wrong way,” Langley said. “But he or she will make us think,” Langley added. 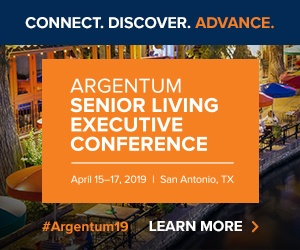 All the while, the efforts of these change catalysts won’t have much of an impact if the leaders in current senior living C-suites nationwide aren’t willing to listen to them. “Leadership in our space has to take a more proactive role in changing the perception of the space,” Langley concluded.